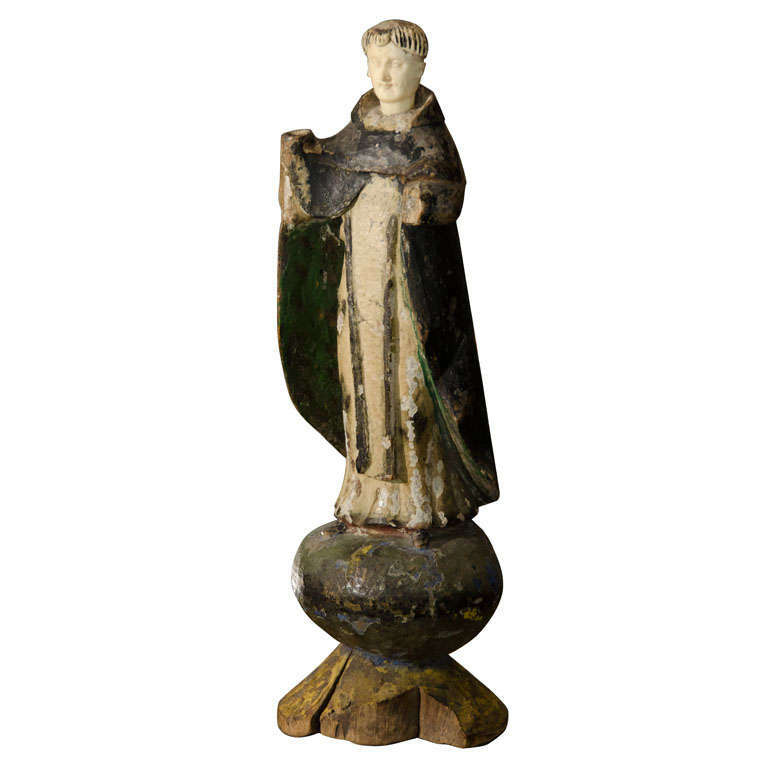 This beautifully preserved Statue is made of carved wood, lacquer and sculpture polychrome. The stautue shows controlled work in the pleating and black cloak. The head of the Saint has been crafted from bone. Little historical summary: Saint Dominic (Spanish: Domingo), also known as Dominic of Osma, often called Dominic de Guzmán and Domingo Félix de Guzmán (1170 – August 6, 1221) was the founder of the Friars Preachers, popularly called the Dominicans or Order of Preachers (OP), a Catholic religious order. Dominic is the patron Saint of Astronomers. $1,900 for the entire lot. hands were probably stolen and the bottom base is cracked and a piece is chipped off. This entry was posted in ART on October 20, 2012 by webmaster.